The approx. 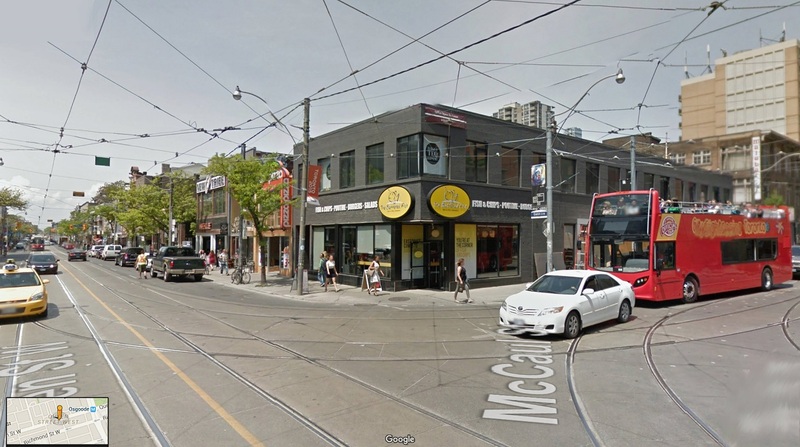 13,600 square foot property is located at the corner of Queen Street West and McCaul Street and is currently tenanted by Dance Teq and Captain’s Boil. Dance Teq’s highly experienced staff offer dance training from beginner to advanced levels. Captain’s Boil Restaurant, known for Toronto’s freshest seafood and Asian aromatics, is located at the back of the building facing McCaul and is scheduled to open on November 1st, 2016. The front unit facing Queen Street is advertised for lease and receiving tremendous interest. In the third quarter of 2016, Navona continues to successfully lease properties within the Greater Toronto Area. 350 Queen Street West in Toronto: The retail space has been leased to the independent jewelry store BluBoho as their third location. With very high interest, all three residential apartments in this building have been leased as of September 1st. 342 Queen Street West in Toronto: The office space on the 2nd Floor, formerly occupied by Lululemon, has been recently leased by PumpUp, an online fitness app software company. The Luxury Apartment on the 3rd Floor has also been leased successfully as of September 1st. This entry was posted in 3. Quarter 2016 on October 31, 2016 by nav_admin.